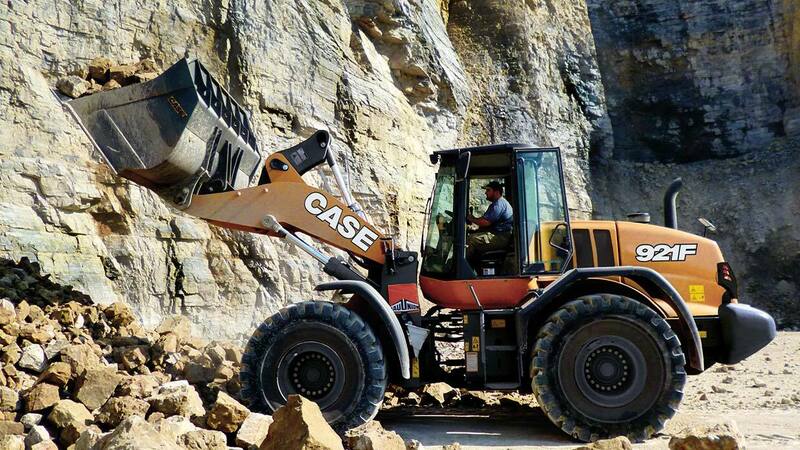 With the CASE 921F Wheel Loader, you will have a higher profitability at your reach. Everything thanks to higher operational loads and faster cycle times. The three power curves (maximum, standard, and economy power), and the four work modes (maximum, standard, economy, and automatic) allow operators to adapt the engine power according to the work, obtaining the maximum performance for each application. With Tier 3 certification, the engine features the perfect optimization between high power and low consumption. 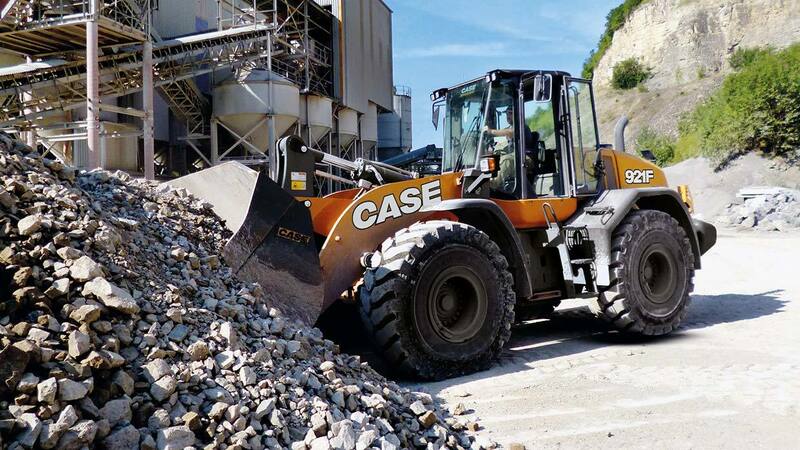 Roomy cab, which adapts the equipment to the operator’s needs by means of adjustable and easy to reach controls. 3 power curves and 4 operation modes, which allow using the most suitable power to the application. It provides higher performance and fuel savings. Three power curves and four operation modes. They allow using the most suitable power to the type of application. Unobstructed visibility of analog gauges and indicating lights at the console. It keeps the operator informed about the equipment vital functions. 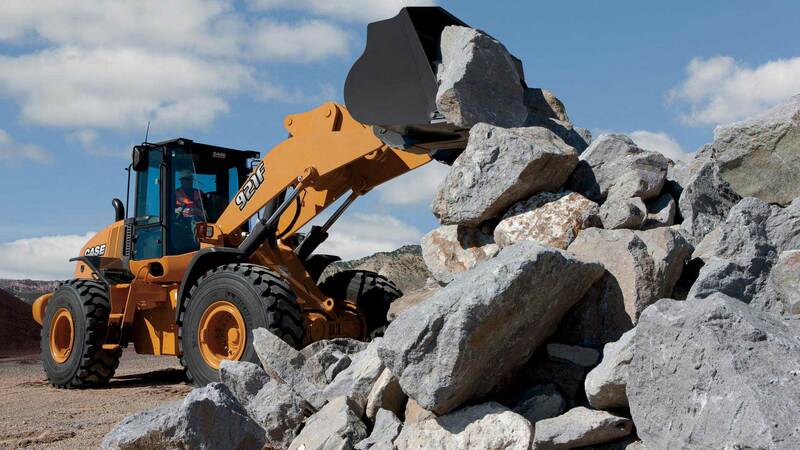 It adapts the equipment to the operator’s needs by means of adjustable controls and easy-to-reach switches. It provides full access to the engine and daily maintenance services. Articulated hydraulic steering wheel with adjustable column. Loader control lever with wrist rest. Object storage tray behind the seat. Antireflective strip on the windshield. Intermittent, front and rear, windshield wiper. Front and rear windshield washers. Selectable work modes: automatic power, maximum power, standard power, and economy power. Fuel filter with water separation. Double, dry type element air filter. (2) 700 CCA 12 V batteries. Centrally assembled cooling module (Cooling Box). Common rail electronic fuel injection. Single lifting and inclination control. Automatic return to excavation (return-to-dig). Automatic return to travel (return-to-travel). Transmission disengaged by means of the brake pedal. 4F/3R automatic/manual selectable gear transmission. Programmable electronic control module - proportional, computer-controlled gear shift with gear selection. Single lever for electronic gear control. F/N/R key on the loader control lever. Limited slip differentials (Limited Slip). Spring-actuated and hydraulically-released parking brake. Single lever with 2-spool loader control valve. Hydraulic fittings with split flange (1” or more). Alternator and belt tension adjustment. Front and rear Halogen lights. Joint tail and brake lights. (2) Front headlights (high/low beam). (2) Tail lights/brake LED lights. Front and rear direction/emergency indicators. Centralized fuse box with protected electric circuits. Support and mooring points – front/rear. Sound Shield noise suppression package. Cab with air conditioning and heater. Prepared for radio installation (12V or 24V) with auxiliary power (12 V). Platform and steps - right-hand side. Special application axles with front differential lock and open rear differential. Heavy Duty (2) 950 CCA 12 V batteries. Hydraulic oil for low temperature. Total view or ejector-type pre-filter. 3- or 4-spool valves, with 2 or 3 loader control levers. Variable speed reversible hydraulic-driven fan. XR Arm - Extended reach. Side guards for the rear chassis. Maximum 20 km/h (12.4 mph) speed control.